Elected to the Thirty-Seventh Parliament for Victoria Park at the by-election on 11 March 2006 held to fill the vacancy consequent upon the resignation of Hon. Dr Geoff Gallop. Re-elected 2008, 2013, 2017. Treasurer; Minister for Finance; Energy; Aboriginal Affairs from 17 March 2017 to 13 December 2018. Treasurer; Minister for Finance; Aboriginal Affairs; Lands from 13 December 2018. Shadow Treasurer; Shadow Minister for Federal State Relations; Culture and the Arts from 26 September 2008 to 8 April 2009. Shadow Treasurer; Shadow Minister for Federal State Relations from 8 April 2009 to 27 January 2012. 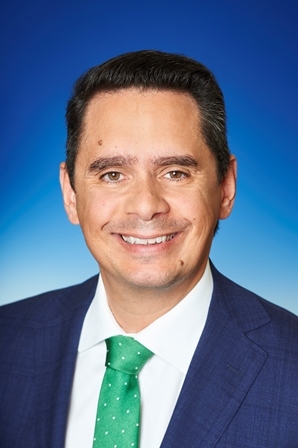 Shadow Treasurer; Shadow Minister for Indigenous Affairs; Native Title; Cost of Living from 27 January 2012 to 9 April 2013. Shadow Treasurer; Shadow Minister for Aboriginal Affairs; Native Title; Kimberley; Pilbara; Cost of Living from 9 April 2013 to 26 June 2015. Shadow Treasurer; Shadow Minister for Aboriginal Affairs; Native Title; Kimberley; Pilbara; Cost of Living; Government Accountability from 26 June 2015 to 11 March 2017. Member, Public Accounts Committee from 5 April 2006 to 7 September 2008. Member, Joint Select Committee on Aboriginal Constitutional Recognition from 2 December 2014 to 26 March 2015. Born 1 April 1974, Wewak, Papua New Guinea. LLB, MSc. Barrister and Solicitor. The electorate of Victoria Park is located in the South Metropolitan Region and includes all or parts of the City of Canning and the Town of Victoria Park. Comprising of all or parts of the localities of Bentley, Burswood, Carlisle, East Victoria Park, Lathlain, St James, Victoria Park, Welshpool, and Wilson. Enrolment (2017) 28,179; area: 24 sq kms.